Nepheline-diorite: Mineral information, data and localities. A foid-diorite where nepheline is the most abundant foid. 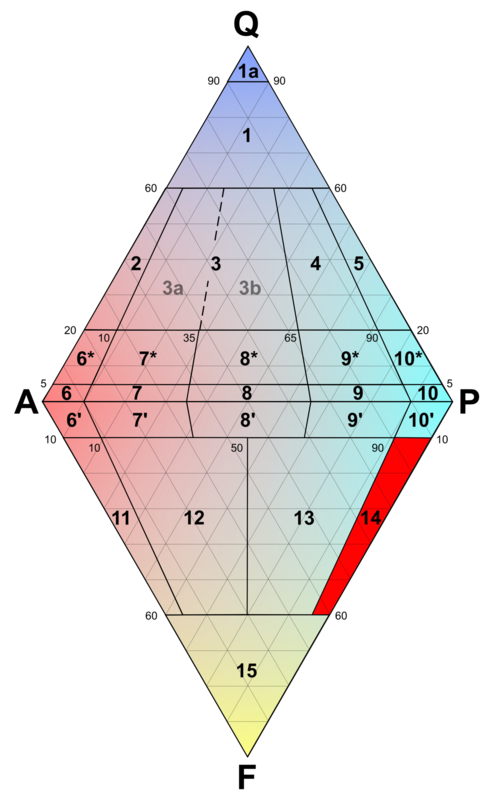 Foid-diorite is in section 14 of the QAPF diagram. Mafic minerals A petrological term for dark, rock-forming minerals rich in magnesium and/or iron. Sodic plagioclase A petrological term for plagioclase feldspars dominant in sodium.